Deah Shaddy Barakat was a man of varied interests and talents: The second-year graduate student at the University of North Carolina School of Dentistry started a successful fundraiser aimed at providing quality dental care to people in Syrian refugee camps. He was also an intramural basketball player and big fan of the sport. After Deah’s life came to a violent end on Feb. 10 in Chapel Hill, N.C., when he, his wife and sister-in-law were murdered in a possible hate crime, he has become a national symbol of the best and brightest the Muslim-American community has to offer. In the aftermath of the killing, the outpouring of prayers and condolences for the three victims have come from all corners of the country, including NBA superstar Stephen Curry and college basketball player Abdul-Malik Abu. 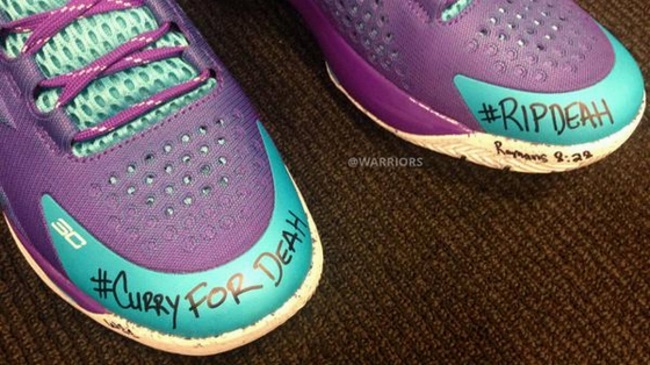 Prior to the NBA’s All-Star Saturday Night contests on Feb. 14, Curry inscribed “#RIPDeah” and “CurryforDeah” on his signature Under Armour Curry One sneakers. Curry, who was raised in North Carolina while his father played for the NBA’s Charlotte Hornets, is a Christian who often references Bible verses on his sneakers. He has been in contact with the Barakat family and publicly paying tribute to Deah after hearing that the aspiring dentist was a fan of his Golden State Warriors. “When I heard the news I was in disbelief I couldn’t quite understand how this was possible. I couldn’t wrap my head around the thought of you and your beautiful wife no longer being alive. You supported me before you met me and showed unconditional love when you did. always excited and happy, always willing to joke around about how the season would go. 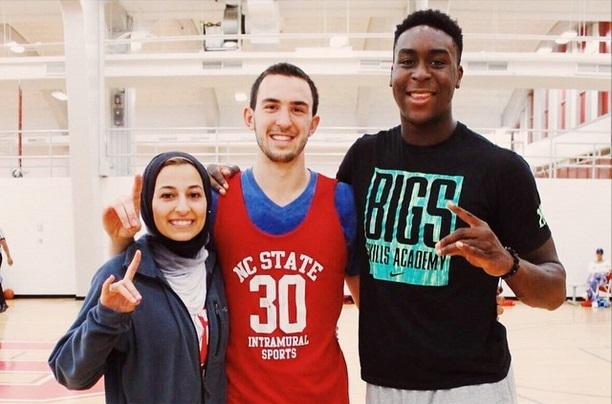 NC State forward Abdul-Malik Abu (right) with Deah Shaddy Barakat and Yusor Mohammad Abu-Salha.